Aberdeen manager Derek McInnes blasted League Cup final referee Andrew Dallas after Celtic’s 1-0 win at Hampden this afternoon, as reported by The Scottish Sun. A Ryan Christie goal sent the Hoops on their way to a seventh successive domestic trophy, but he Dons boss felt that the on-fire midfielder should have been sent off during the 90 minutes. Almost refusing to give the Hoops any credit, McInnes was clearly hurting after Brendan Rodgers’ side lifted the trophy. At times man for man and at times really aggressive and I thought Celtic, although they had a lot of touches weren’t really causing problems. We had chances but we need to make more of them, I was disappointed with the penalty kick given. My thought was that at the time that the ref gives it too quickly without thinking and he’s got it wrong. I also feel Ryan Christie makes another yellow card challenge on Dom Ball on the half way line. The referee has indicated that he played the ball and to play on and it was clear he had been brought down. These little things in the final can be pivotal. Dallas struggled to assert himself on the match throughout the 90 minutes and there’s no doubting it was a poor performance, but Aberdeen got away with plenty too, which McInnes refuses to acknowledge. Celtic created the opportunities to win by more than the one-goal margin, limiting Aberdeen to a handful of half chances. If Scott Sinclair and Odsonne Edouard had been more clinical, we could have won comfortably. The Aberdeen manager will just have to continue to deal with Celtic’s success. Serial response laced with bitterness, jealousy and a serious lack of reality. When you fail to face your failings, you can never ever be a success. McInnes’s continued refusal to accept his team are not as good as Celtic prevents them from improving. Denial like his shows an astronomical inability to recognize your own weaknesses and work at improving. As long as Derek McInnes refuses to accept Celtic pretty much own them, nothing is ever going to change. 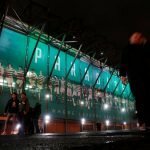 In the past 14 meetings between the two clubs, Celtic are running at 13 wins and a single defeat. The defeat was last game of last season when the league was already wrapped up, and Celtic had to save players for the upcoming Scottish Cup final against Motherwell. Celtic or referees aren’t McInnes’s problem. He is. In the last 4 1/2 seasons, Aberdeen have lost 44 league games. Yes, 44 and this season is only halfway through. Not one of these defeats was justified! Not a single one! Just ask Derek McInnes if you don’t believe me! 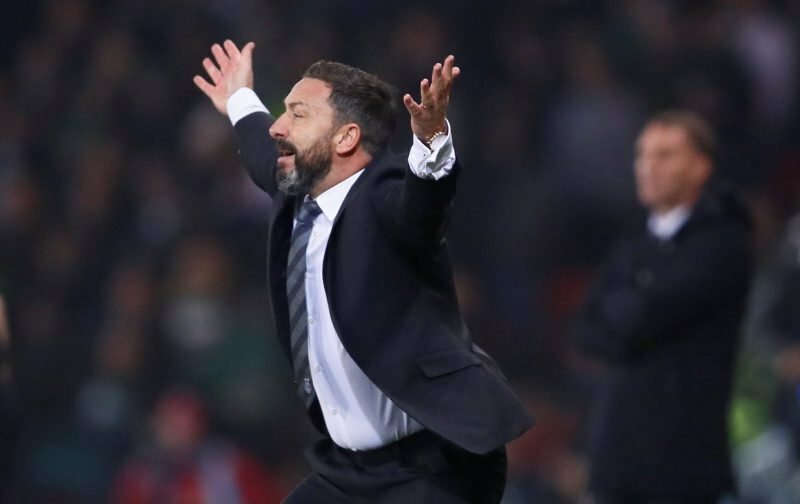 Derek McInnes is very quickly becoming the laughing stock of the game in Scotland. He has never once came out and admitted the better team beat them. It was dives, cheating, bad decisions, bias against Aberdeen, etc etc. But not once were they beaten by the best team! He is looking pretty stupid right now! As for Shinnie, not enough there to talk about. Each n Every Hun is living in LaLa Land.